The 2021 Ford Courier is going to be a compact pickup truck, smaller than the current Ranger. Spy shots are supporting these theories, but the company is not unveiling plans yet. The vehicle will use the same platform as the new Focus. That is the C2 architecture, and the Courier could make a strong impact on the market. For a long time, we could say either mid-size or compact trucks for Chevrolet Colorado, Toyota Tacoma, Nissan Frontier. 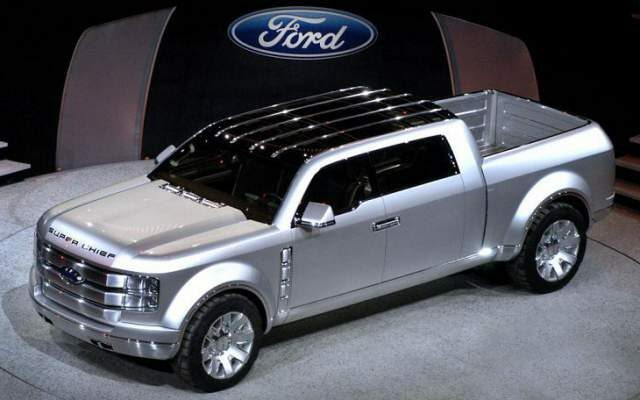 But now, with the arrival of the 2021 Ford Courier, the US company is bringing the true small pickup. Since the info leaked recently, we still don’t know if other companies are preparing the response. After years of absence in the mid-size class, Ford brought back Ranger pickup. And now, they are going even further with a new model. Do We Need a Compact Truck? 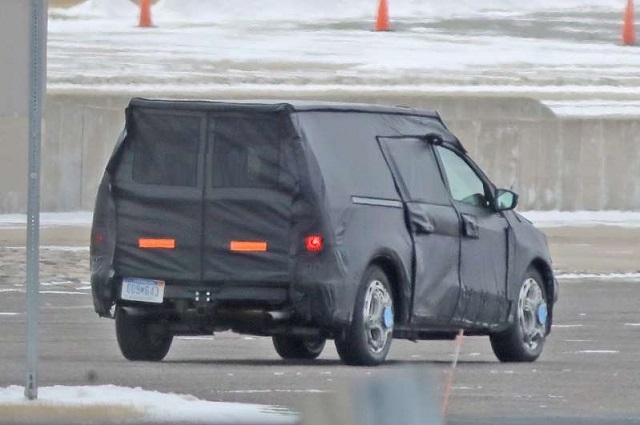 This is why the spy photos of the 2021 Ford Courier surprised many experts and fans. In modern time, where all types of vehicles are struggling in a battle against versatile SUVs and crossovers, the Blue Oval company is set for a stunning move. What will 2021 Courier bring to the market? It will be smaller than Ranger. The mid-size SUV is slightly longer than the Expedition SUV. Ford Focus, build on a C2 platform, is 180 inches long. That is the size of the new Escape, compact crossover SUV. So, the truck is ready to compete with this versatile and agile model that can offer plenty of safety features, infotainment equipment, and enough room for cargo. We will see what is Ford up to, but the new Courier can’t offer too much more of towing capacity with its size. Escape has a towing capacity rating at 3,500 pounds. 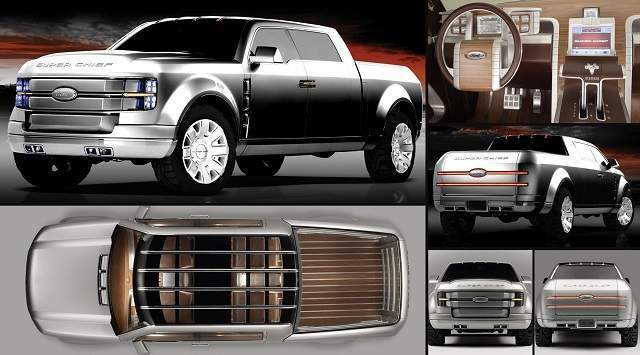 According to some sources, the new Ford Bronco will borrow many things to the upcoming compact truck. However, the upcoming SUV is using a body-on-frame platform to take on Toyota 4Runner, while the 2021 Ford Courier is a unibody truck. Again, the company is successfully keeping its secrets behind the camouflage and elements added to fool the audience. Sharp lenses of photographers took good images of the front fascia unveiling similarities with Focus sedan and Escape SUV. At first place, there is an independent rear suspension, but most experts believe it is a fake. One tiny detail could unveil many things. We can see a dual exhaust system on the new truck. That means the 2021 Ford Courier is probably testing a 2.0-liter turbocharged engine. An EcoBoost unit is good for 250 hp and 275 lb-ft of torque. We can find this engine under the hood of the Ford Edge mid-size SUV. However, it doesn’t offer great off-road capabilities. The other solution could be a 2.5-liter unit with 270 hp and 170 pound-feet of torque. 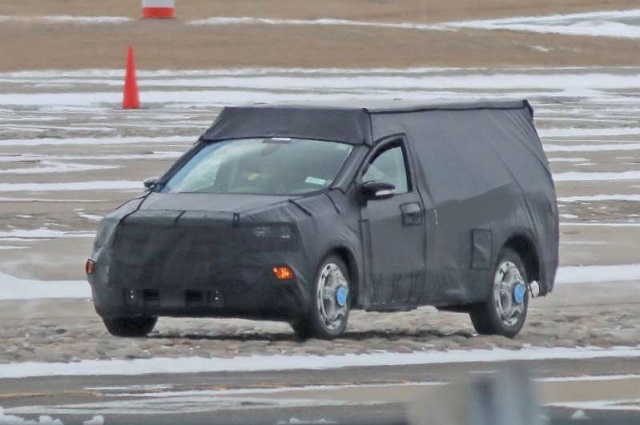 There is no official info about the 2021 Ford Courier. However, the compact truck is already on the streets. We believe that production will start in 2020. 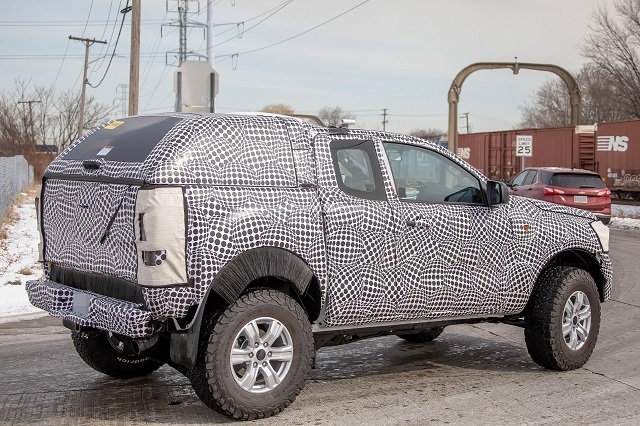 The truck could have a debut at the new Detroit Auto Show, which is moved for summer.